The Ant & Mike Show - "We Do More Than Gossip": HAPPY BIRTHDAY NELSON MANDELA!! Today the former president of South Africa turns 90 YEARS OLD! 27 of those illustrious years were spent in a prison cell, as he was jailed for spearheading the fight against apartheid. His fight to turn the multi-racial culture of South Africa into a united democracy, has even garnered the respect of the men who condemned him. Last month, a tribute concert was thrown in London for his birthday. As musicians like Eminem, and Amy Winehouse performed, Mandela was honored by guests that included Will and Jada Pinkett-Smith, Angelina Jolie, Brad Pitt, Oprah Winfrey and a host of world leaders. 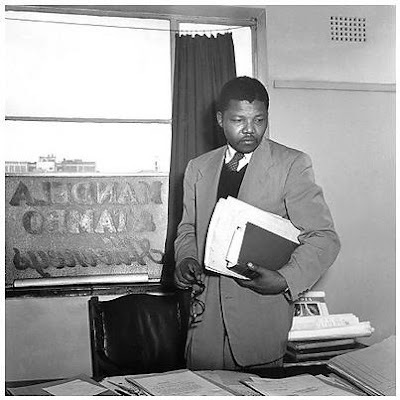 This was a testament to the admiration Mandela’s efforts for peace have harvested over the past nine decades. 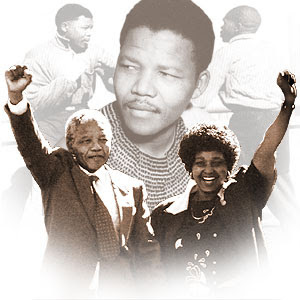 No longer in office, Mandela continues to be a face for courage, nobility and peace. He single handedly represented a country in turmoil, and deserves the utmost acclaim from everyone privileged enough to know how important his legacy is. Happy Birthday, Nelson Mandela.